How cute are these little guys? Great for cards, tags and other papercrafting projects. 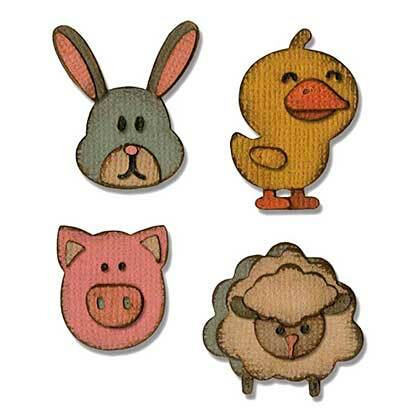 Designs include: duck, bunny, pig and lamb. Package includes: 4 wafer thin dies that range in dimensions from 0.1" x 0.1" to 1.15" x 1.15". Each die includes all the cut outs needed to create one of the critters. Great size to use in your small Sidekick die cutting machine (sold separately).